During the 1500s, there was once a small island called Talodo, which was frequently invaded by foreigners for its resources. A twenty-five-year-old woman named Ratsu, who has the spiritual being within her, is ordered by a friend and the island's commander with going to a temple for investigation purposes. Along with her ninja-like friend, Izame, she arrives at the temple and comes into contact with a dangerous woman who tries to kill them. As the danger rises, Ratsu's inner being awakens. 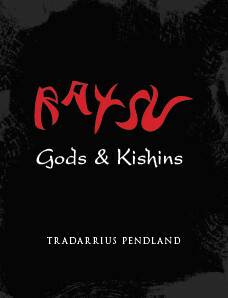 Find out what happens in the adventures that are to come in the afterlife of Ratsu and her friends.